The v4 Glue Looper is a patented micro fluid applicator made for applying EXTREMELY small amounts of glue where you want it to go, with little to no trace visible. The Glue Looper fits not only our array of hobby knives, but any standard knife handle that uses a flat clamping front vise (X-ACTO, Fiskars). They can be used and reused for multiple glue applications. 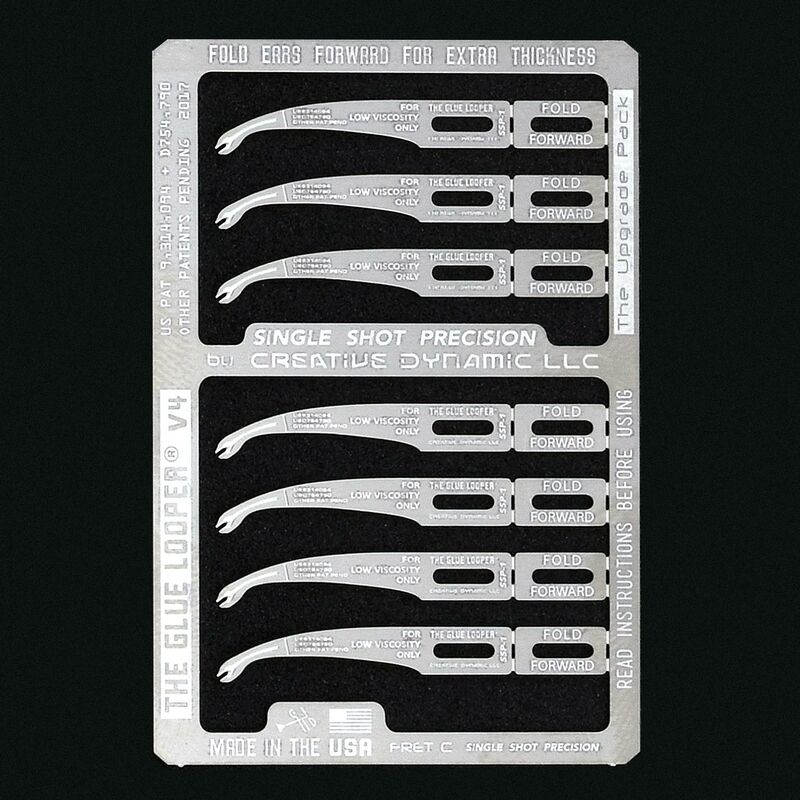 Used by makers, model-builders, motion picture special effects technicians, hospitals, universities, woodworkers, musical instrument repairers, sculptors, jewelry makers, beaders and quilters, the v4 Glue Looper comes 7 in a pack, and are designed specifically for use with thin glues.